Instead of spending hours cooking at home this year, enjoy a stress-free Thanksgiving and let Paramour prepare a memorable Thanksgiving dinner for you and your family. In addition to their a la carte menu, the Chef has prepared a special Three Course Prix Fixe Thanksgiving Menu where you can enjoy Paramour’s version of traditional favorites, including Roasted Butternut Squash Soup, Lancaster County Turkey Two Ways, and Pumpkin Pie Cheesecake. Expertly chosen wine pairings will also be available to highlight each course. 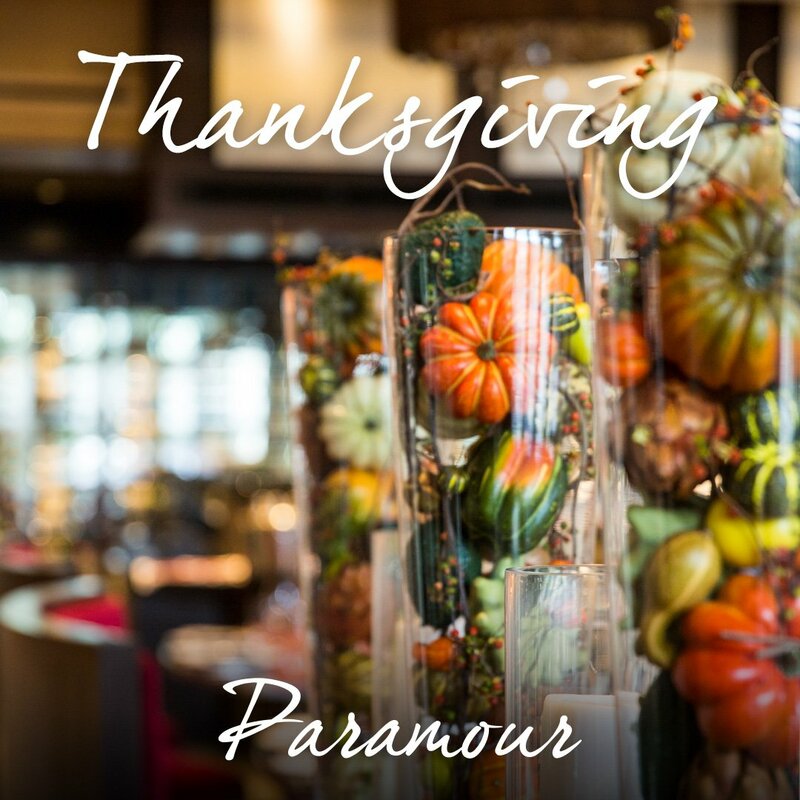 View Paramour’s Thanksgiving Menu and Reservation Information online.